Each time a new Android phone is released, groups of power users will try to improve it by digging into Android source code and by cooking ROMs. The path they choose is not easy: They have to do guesswork or reverse engineering and often they are stopped in their attempts by hardware limitations, closed systems and in some cases by legal matters. There are not many devices they can work with easily, and manufacturers rarely makes things easy. Wouldn’t it be great if there was a true Open Source phone that came with all the source code, drivers, documentation and help from the manufacturer? Well, one company is going to do exactly that and release a CCR (Certified Community Release) Program. This young Spanish company is Geeks’Phone, whose first device, the ONE, was released in January, only 6 month after the company was created: a huge achievement. While the phone is not available from any carriers, they still have managed to build a good customers base. Special rewards for developers and people who are making a great effort to contribute to the community. Basically, free phones for developers so they no longer need to rely on their primary phone for development and in some cases, sponsorships. For the first time in the industry, Geeks’Phone will officially certify and approve community ROMs that are stable and offer real advantages over stock ROMs. The ROMs will be credited entirely to their developers. Support and help from Geeks’Phone engineers to developers, especially ROM builders, for their specific needs. Already, 100% of the kernel and drivers of the One are open and documented. Easy to follow logo and identification guidelines, so end users will see which ROMs have been tested and approved. Both “Stable” and “Experimental” logos will be used. Technical support for users of these builds. Geeks’Phone technicians will flash customers’ phones with CCRs if the customer requests it. CCRs won’t void the warranty. To get more details on this program, we interviewed Javier Agüera (CEO & Co-founder) and Rodrigo Silva (CEO & Co-founder). AndroidGuys: How difficult was it to setup the program? Did you have to get approval from chips manufacturers, Google or the Open Handset Alliance (OHA)? Geeks’Phone: It has not been easy at all. From our side, the biggest issue was related to the customer support. Our objective was to be able to maintain the current high quality of our tech support as it’s one of the main reasons of satisfaction among our users, but adding support for non-standard ROMs needs an extra effort as unexpected problems may arise at any moment. However, we are confident we will be able to maintain our current level of support as it’s one of the pillars of our initiative. AG: Did you have to get approval from chips manufacturers, Google or the Open Handset Alliance? GP: Neither Google nor the OHA has said anything against, specially because one of the conditions that a ROM needs to satisfy to become a CCR is AOSP (Android Open Source Project) Code Compliance. Besides this, the ROMs are separated from the Google Apps, following Google guidelines given after the “Cyanogen C&D” some months ago. We have had some issues with chipmakers, especially those related with radio communications (aka Qualcomm). Finally we managed to get their approval, as CCRs (at this stage) won’t be installed at the factory, only by the users or at our service centers. AG: It is obvious that the program will help you bring the latest version of Android on the phone, but what would be the other advantages for your company and the users? From the user perspective, the most important advantage is that they do not lose their warranty, and they get special suport. Of course, only the ROM-maker or the community will be able to correct bugs or add features, but we will do our best to make the experience better both for users and developers. Users also get a way to identify the most stable or at least tested ROMs, giving them a breath of confidence. 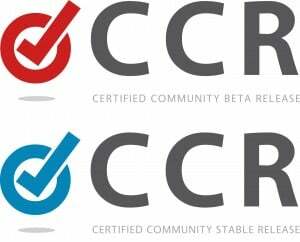 Developers, on the other hand, will be rewarded with a distinctive seal, and we hope it will encourage new developers to make great ROMs which deserve a CCR seal. AG: The ONE is not available from any of the main operators (correct me if I am wrong? ), does that help and give you more freedom, or would you be able to have both (CCR and large distribution) if you tied with operators like most manufacturers? GP: At this precise moment, we are not working with any big operator. While their business model is not ours and they are not our primary interest, our objective is to give back the freedom of choice to the user, so subsidizing a phone is also an option we would love to give to the users. But that depends on the operators’ interest to work with us. However, we don’t think it will be a problem to compatibilize operator-locked devices and unlocked devices at the same time with the CCR program. Unlike most brands, we are the ones giving the real tech support. For the operators the risk in CCR is customer support in case of failures. But as we are already assuming that risk and certifying the builds, there should not be any problem. Anyway, in case of conflict, we priorize our CCR program and “freedom-based” business model above any deal with operators. 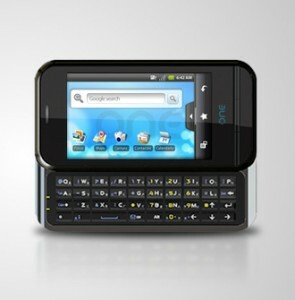 AG: The ONE was released 6 months ago, so could be considered to be retirement age for a phone (Like the Nexus One). And today, the specs are no match with the latest generation of phones (processor speed, screen, etc.) Any plan for the “TWO”? 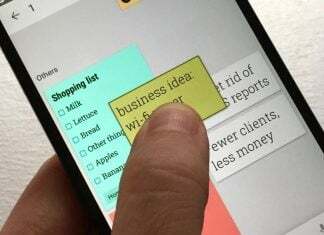 AG: Would a TWO (or any further successor) be designed on the same Open Source spirit with the users deciding what they want (keyboard or not, small or big screen, etc.)? Or is it completely unrealistic for a small company to achieve? Your question is precisely the core objective of our initiative. In fact, we are incubating a parallel initiative very related to this, but can’t say anything yet about it. I can only say that the true mobile revolution is just about to begin.. and the launch of the CCR program is just our first step. Not only is it not unrealistic, but we believe it’s the only way for a company like us to achieve our place in the market. We don’t want to emulate OpenMoko, as what it’s truly unlikely to see is Qualcomm releasing the code of their RILs (the most sensitive bits of code in a phone). We try to make Android as “open source” as possible, but we do not limit our vision to code or “geeks.” Our final objective is to make truly “open” phones in terms of design, specifications, etc. giving the end user the option to collaborate side by side with us in the conception of our product line. AG: Any thing else to add? GP: Nothing else really. Just wanted to thank AndroidGuys profusely for your support, and also all our current customers who are impressing us day after day, and helping us realise that a different, more flexible, mobile industry is possible. Follow us as this is just the beginning… and we welcome you all to join us leading the mobile revolution. Would you choose a device based on what you can do with it? What do you think of this idea of certified ROMs? Please contribute by posting your comments.